This overview presents lessons and results of specific relevance to shaping the post-2015 development framework. It contains lessons to enhance knowledge of both why results for gender equality and women’s empowerment are critical to advance an overall development agenda, as well as practical examples of how to make this a reality. As a result of the joint programmes, 20 promising practices have been identified. 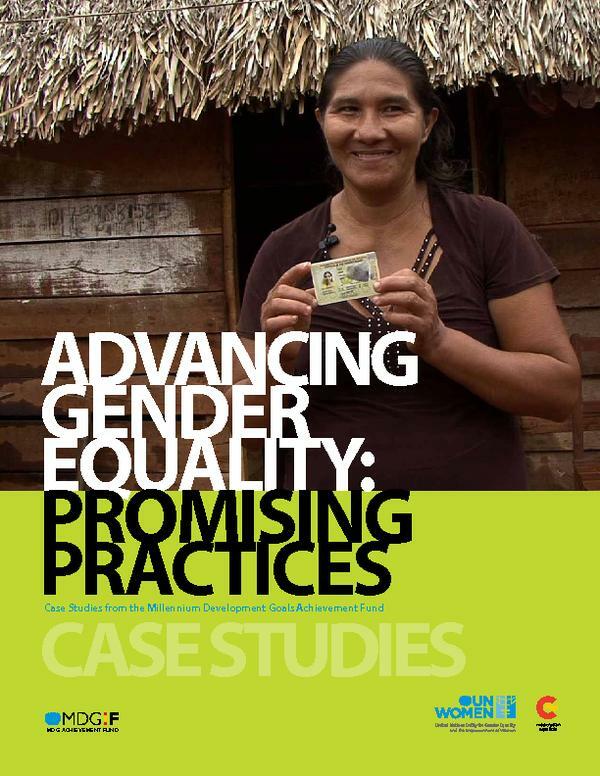 WIth a view to inform evidence-based policy and programming in support of women’s rights and gender equality, this Global Compendium presents the main findings of such analyses, including progress and results achieved, lessons learned from each programme and its sustainability, scaling up and replication potential. The in depth analyses of the case studies are in separate documents uploaded on the library under the names “Freedom From Violence,” “Improved Capabilities and Resources,” and “Increased Participation in Decision-Making.